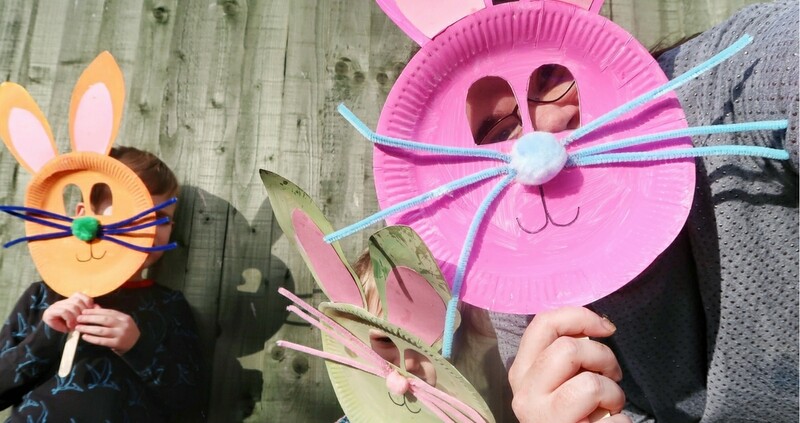 This month my #BostikBlogger box was full of ducklings, chicks, eggs and bunnies – which means spring is upon us. I have to say I am relieved. I can’t wait for the blossoms to be out and for the world to be a bit brighter and lighter, just like our box of crafting goodies. 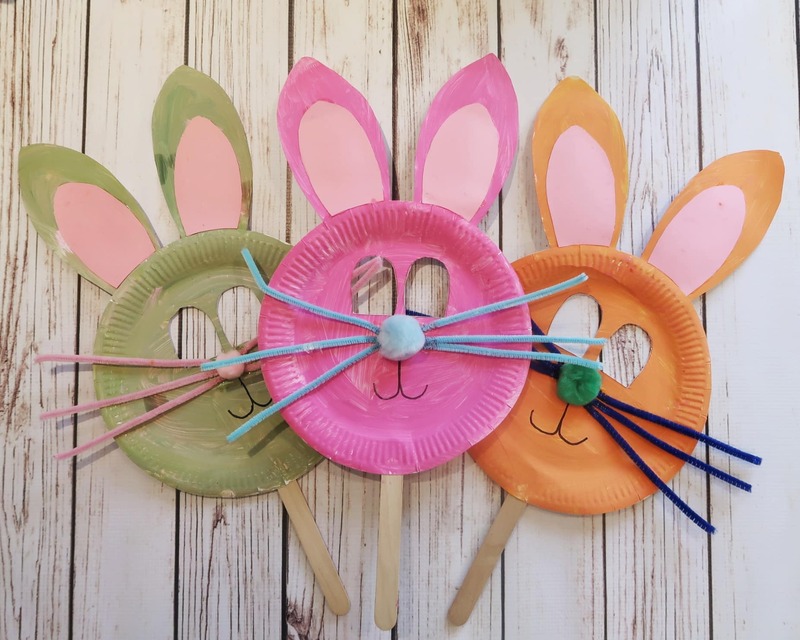 This month we tried out some great paper plate Easter crafts that are really simple but effective. 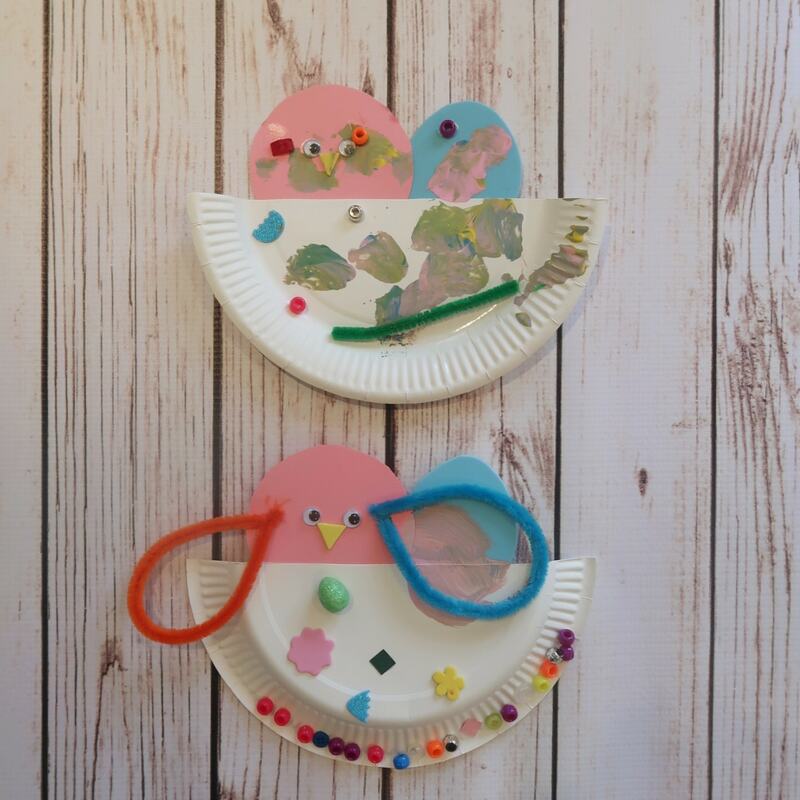 All the crafts are suitable for younger children and you can do most with paper plates, glue and coloured card. Glue card ears to the top of each plate. At this point, if you want to let the children paint them, you can. 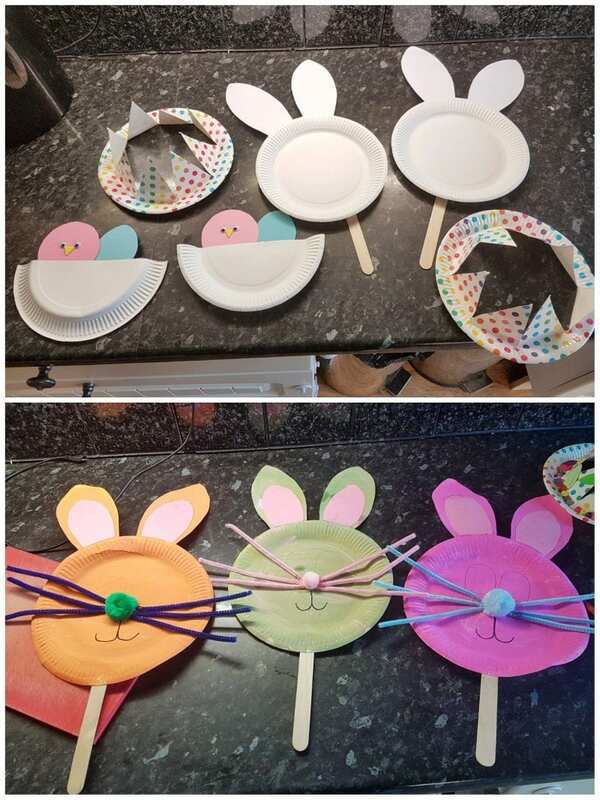 However, the plates work well as plain white bunnies, or decorated with pens or crayons – whatever you like! Once the plates are decorated and dry, you can add smaller pink shapes inside the ears. We used pom poms and pipe-clears for noses and whiskers, but you could just as easily draw them or use card or paper. In addition, we glued on lolly sticks to hold our masks up but you could add string or do without. Lastly, draw on the mouth and cut out holes for eyes. 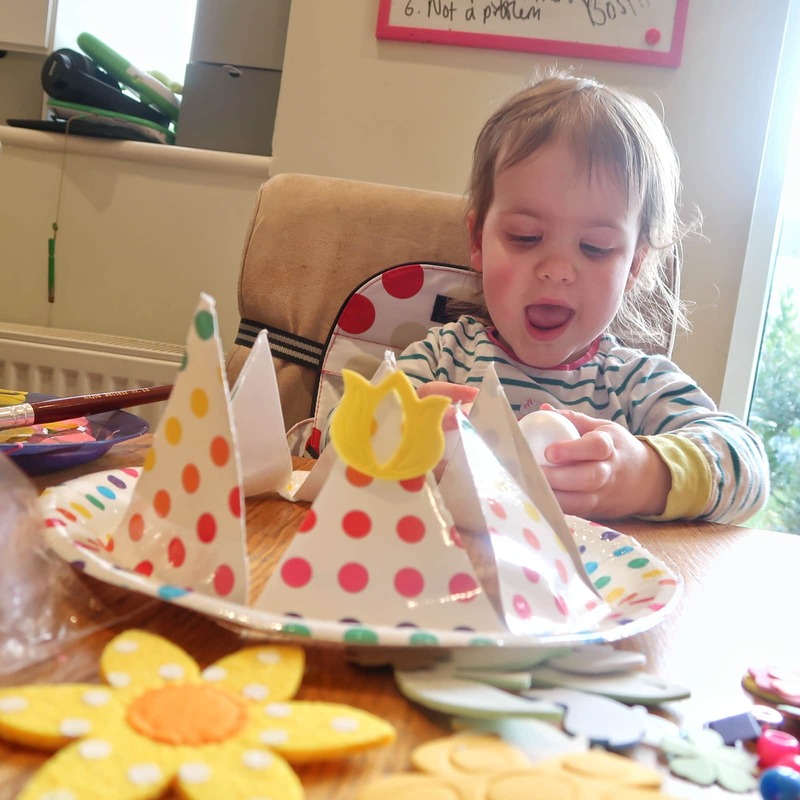 Any decorating materials you like – foam flowers, stickers, buttons beads etc. This is probably the Easter craft with the best effort to effectiveness ratio. The final crowns look great and require very little effort to look great. Make a mark in the middle of the centre of your plate and draw eight equal ‘spokes’ out from the centre of the circle, as seen above. Then simply cut down each line and fold up to create the points of the crown. 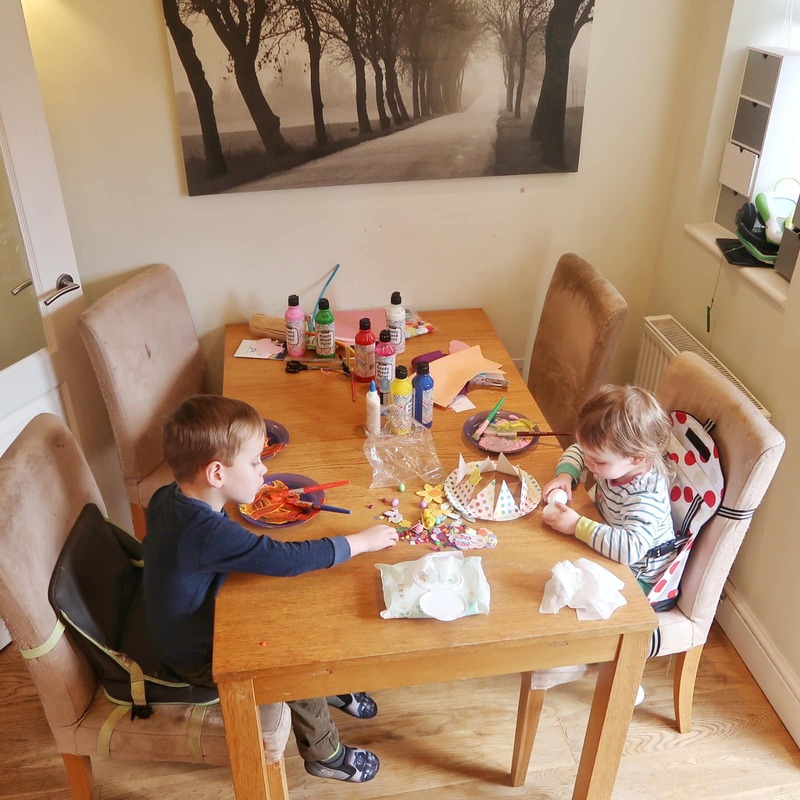 The children can then decorate them in any way they like. Bostik sent us lots of really lovely small items like beads, buttons, glittery eggs and foam flowers, so we used those. 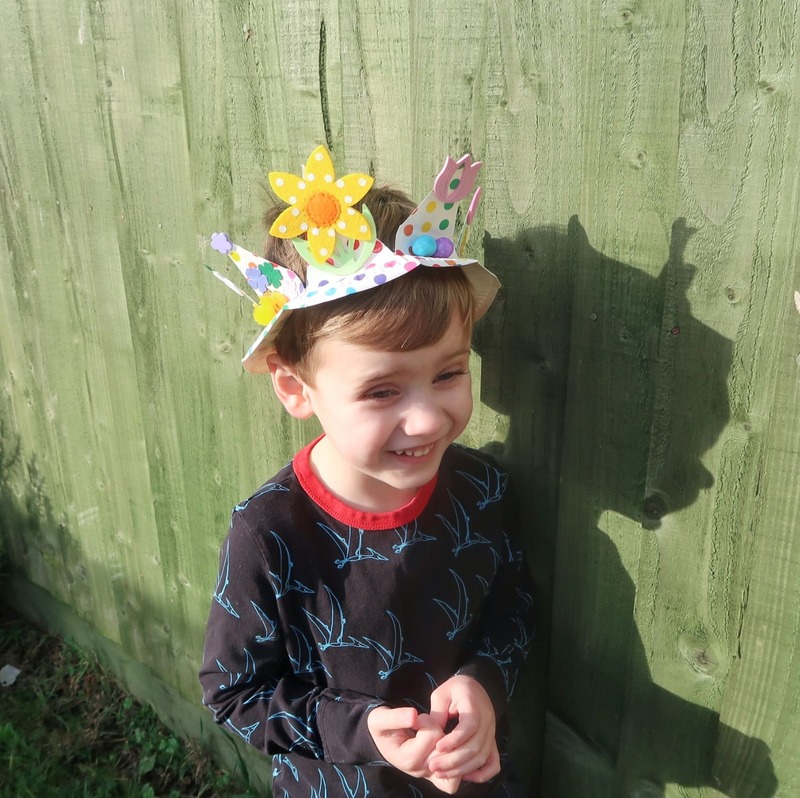 The children loved choosing things to stick on and the final crowns looked brilliant with very minimal fuss and mess. You could save up unwanted items around the house to decorate or just use magazine clippings or old fabric. 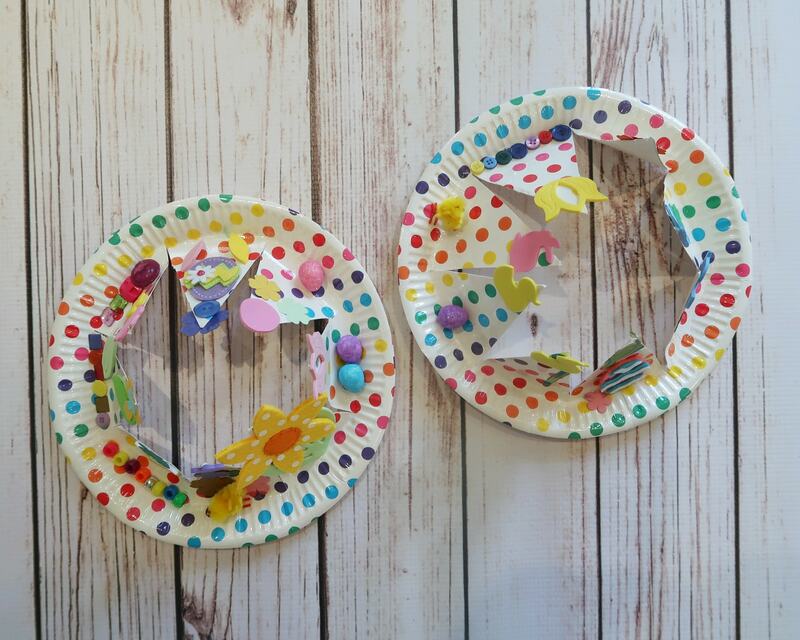 Cut the paper plates in half so that they are semi-circles. Each half will make a bird’s nest. 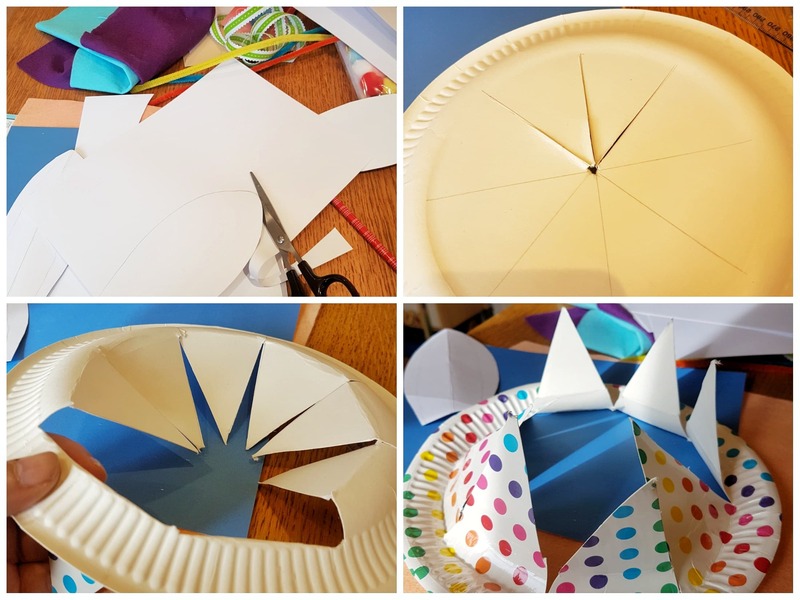 Cut out some coloured card in a circle and egg shape to make a bird and an egg to go inside your nest. You can add a small yellow piece of card for a beak and stick on eyes (or you could simply draw these on). The nests are then ready for the children to paint, stick and glue however they see fit. We couldn’t find any coloured feathers to use this time but they are a huge hit to stick on to make an authentic bird. By this point both of mine were a bit crafted out and so our nests were a bit sparse! 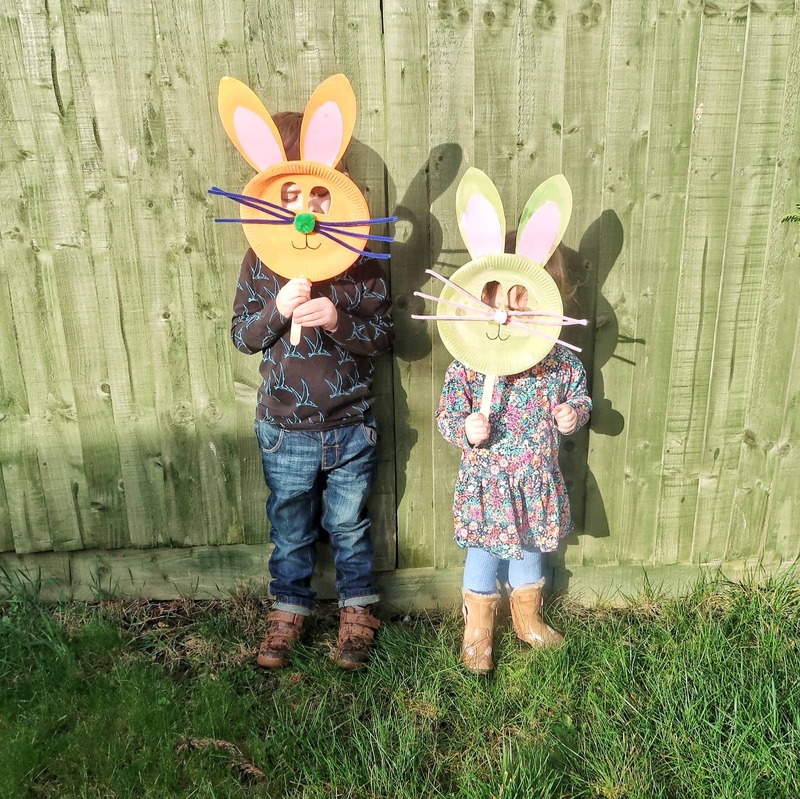 Our bunny masks and crowns needed to sit for a few hours for the paint and glue to dry but once they were ready, we had a play. The bunny masks were by far the most popular. I think you will agree they look pretty effective too. I really love the hat/crown – what an amazing idea. Some really great ideas there – will save for future reference as there’s no family member at the right age at the moment! 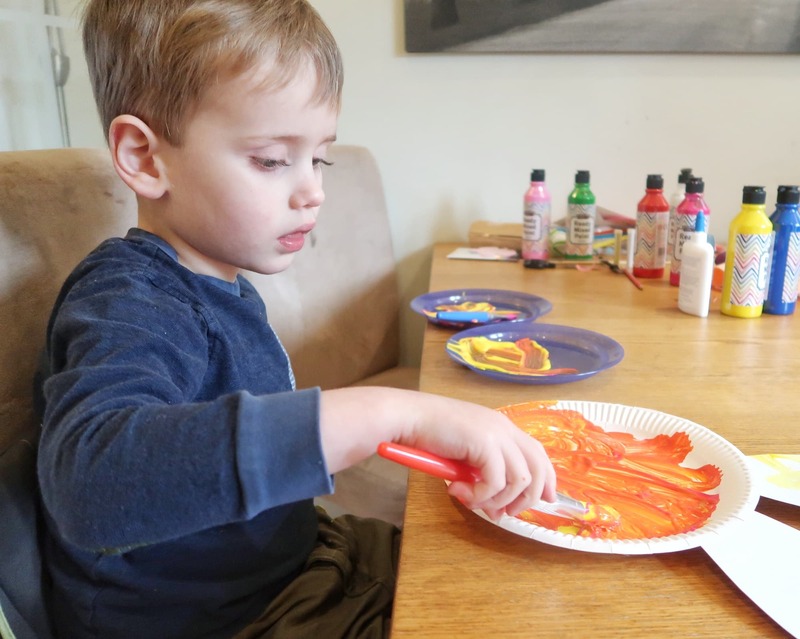 I love paper plate art and always stock up when I see cheap plates. 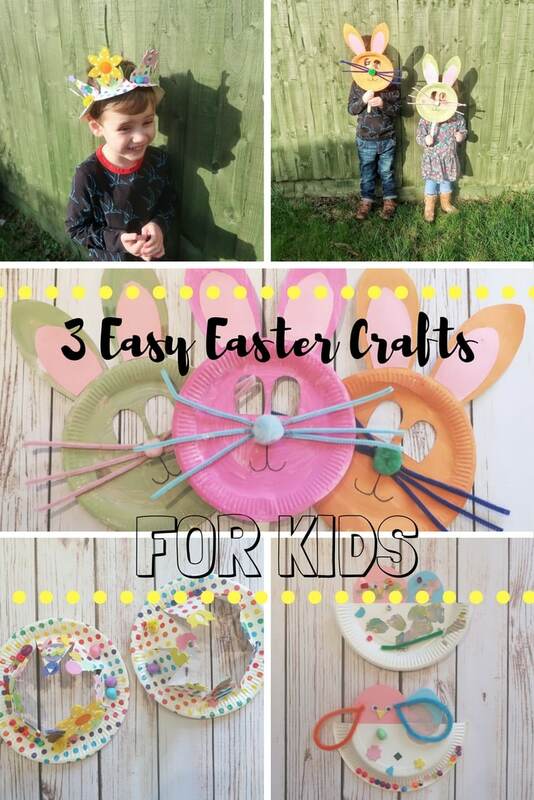 These ideas are fab and will definitely be going all of them with my four year old twin girls this easter.